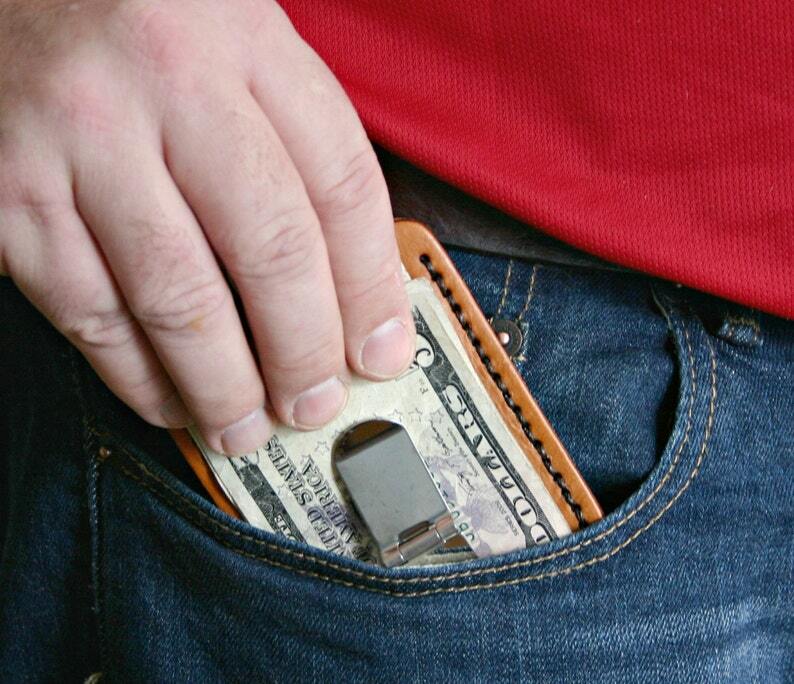 Keep your cash easily accessible in the money clip with this mens leather wallet. 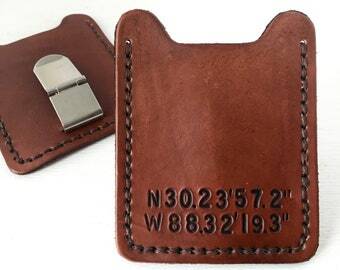 It easily holds up to 7 credit cards and drivers license. 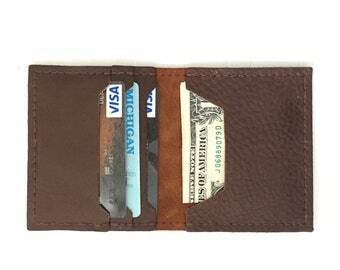 This wallet is light, compact, and is meant to be carried in your front pocket. This is the perfect gift for Father's Day, Anniversary, Birthday, Graduation, Christmas, or Groomsmen. To have this one personalized, let me know the initial(s) in "Notes to FatCatLeather" at checkout. Item was very well made. My husband was very happy with it. Item arrived in a timely manner and was packaged well. Beautiful piece and it shipped quickly! !